"1 x Special Package" - price shown includes a Flat Top Panel 2400mm + 1800mm inground Post + Fittings - price shown is for Black Satin only. Options available. 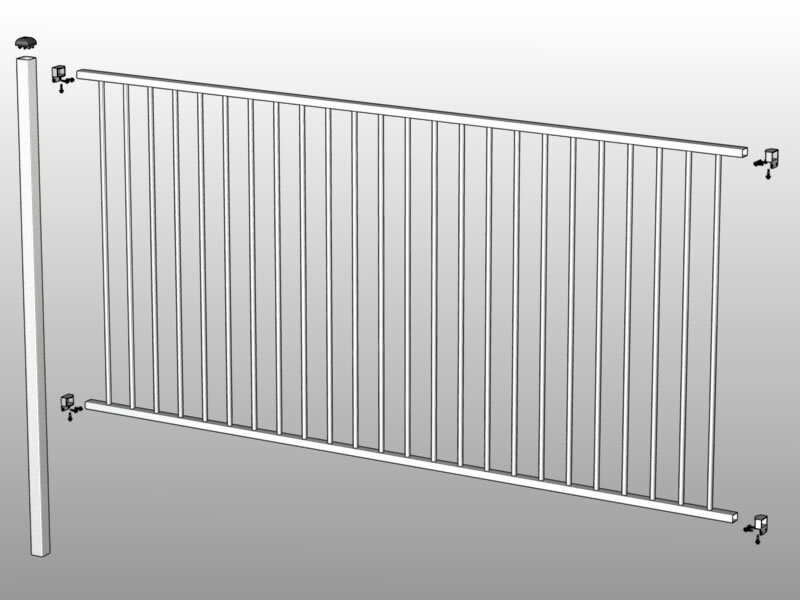 1 x " Package Deal " - price shown includes a Flat Top Panel 2400mm x 1200mm high + Inground Post 1800mm + 4 x Brackets with screws - price shown is for Black Satin only.
" $99.00 Price Includes " IN STOCK NOW !! For the price in Hardware Stores of a panel only, we supply a panel, post and brackets !! !